Take advantage of the varied and unique portfolio of English-taught bachelor's and master's programmes offered at very reasonable tuition fees. Experience living in Brussels, the Capital of Europe, a truly cosmopolitan city with an amazing variety of career opportunities. Vrije Universiteit Brussel is your ideal partner for prestigious research and education with an outlook on Europe and the world. We offer a quality education to more than 15,800 students (21.5% of these are international students, covering some 128 nationalities). Add to that the 5,000 students of our partner, the Erasmus Hogeschool Brussels; the 400 students at the English-speaking Vesalius College; the 5,000 students at the Centre for Adult Education that shares our campus, and the more than 150 research teams working on our campuses, and you get one of the biggest centres of knowledge in the capital of Europe. High quality education and research are central issues. Our research teams are internationally recognised in many disciplines of fundamental and applied research. 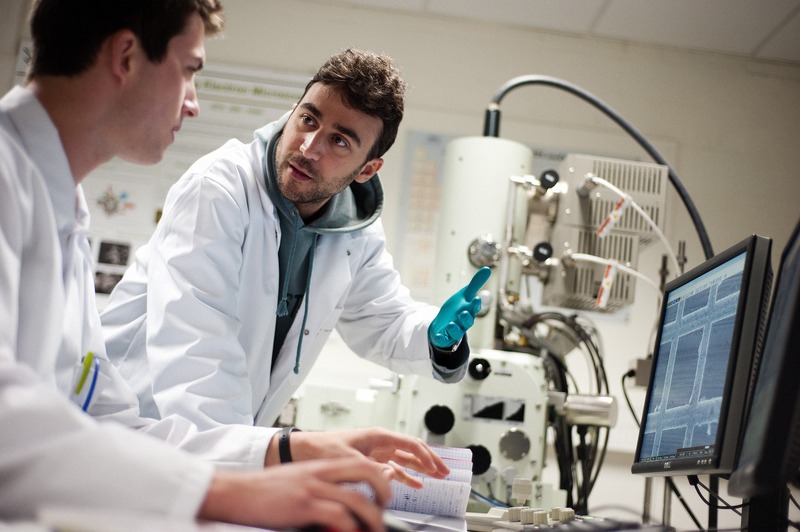 The VUB Career Center is the university’s central information hub to assist and support students and young graduates to make an efficient start on the labor market. The Career Centers offers individual career counselling on themes such as career guidance, job application and interview techniques, tailoring and enhancing a CV, networking. Additionally, the Career Center runs a job and internship board students are invited to make use of. 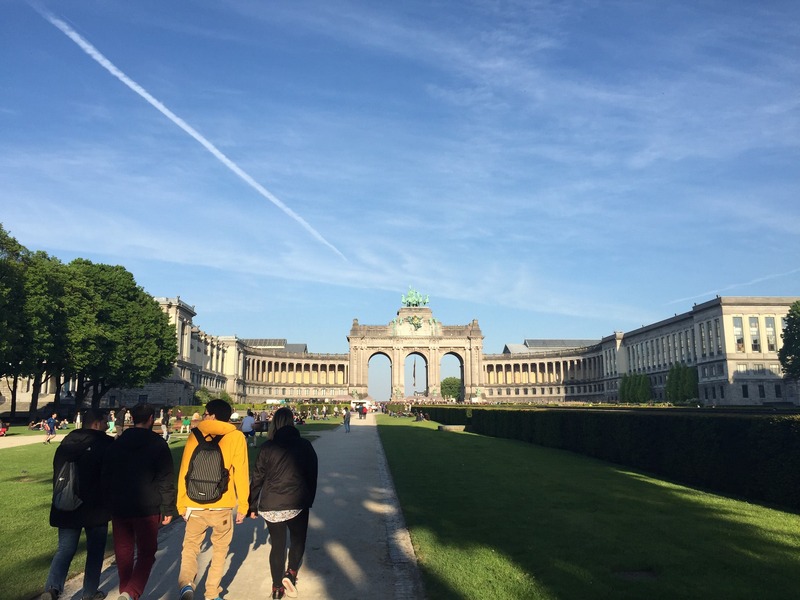 VUB students have access to a variety of services, such as personalized study guidance, social services, housing service, medical services, career development, integration within the VUB community, foreign language learning, library services, etc. VUB has 1265 rooms, including 39 double apartments, 14 studios and several wheelchair accessible rooms. These rooms are all located on and around the campuses, and are offered at very attractive prices thanks to government subsidies. The VUB University Library consists of the Central Library and the Medical Library. Both libraries offer a large number of databases and contain an extensive collection of printed or electronic journals, books, newspapers. Most electronic sources are available for remote access by the VUB community via the library website. All VUB campuses have public computers at student's disposal, including within the libraries. All computer rooms have printers and/or copy machines. The VUB campuses have free wireless networks coverage. Students have access to the online learning platform, the student self-service, webmail, etc. 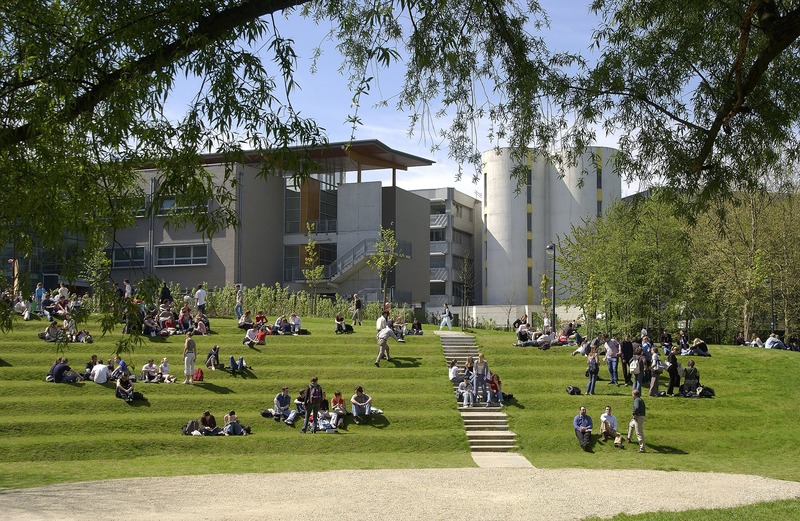 The VUB provides medical and psychological services to its students. These services are located on or close to the campuses. Students have easy access to general medical and dental consultations, a dental clinic, physiotherapy. Additionally, there is a mental health care center. On top of that, students also get access to the medical services conveyed by the University Hospital. VUB is located in 3 campuses in the Brussels-Capital Region: Brussels Campus, Brussels Health Campus and Brussels Kaai Campus. 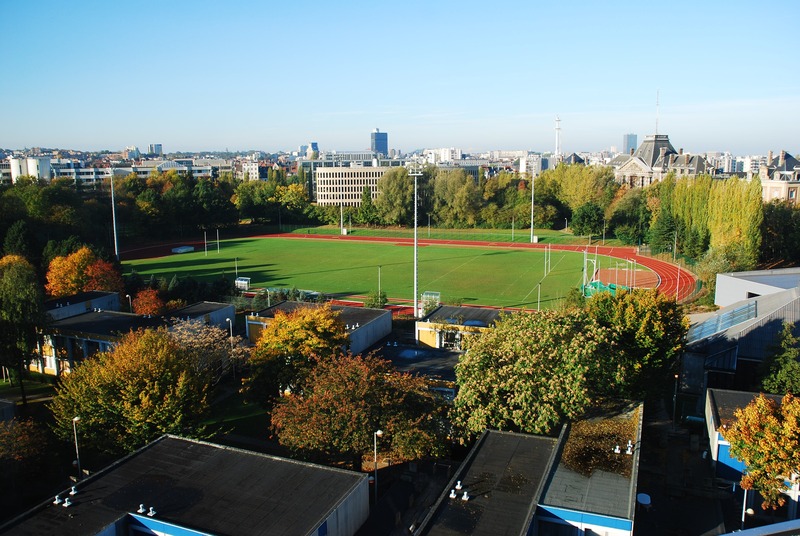 The main campus is the Brussels Campus, a green and compelte campus with numerous auditoria, classrooms and labs, a library, sports facilities, a student restaurant, the career center, a medical center, a bank. The Faculty of Medicine and Pharmacy and the University Hospital are both located in the Brussels Health Campus, also a fully-fledged campus. Finally, Brussels Kaai Campus hosts the department of Industrial Engineering, a place where students can work on/with the latest computer controlled machines such as 3D printers and laser cutting machines. The VUB sports infrastructure consists of a swimming pool (25m. ), athletics track, two large multi sports halls, an artificial grass rugby/football pitch, and artificial training field (tennis/football), three squash courts and a martial arts room. Each campus includes a fitness center as well. The International Student Platform consists of international students that cooperate with the general VUB Student Council. This platform has been created to give a voice to the growing number of international students at the Vrije Universiteit Brussel. The Student Council, and other bodies of the Vrije Universiteit Brussel, can consult the International Student Platform regarding issues pertaining to international students, but the members of the platform can themselves also propose new ideas and policy changes. The platform consists of international student representatives. The International Student Platform meets twice per month, except during exam and holiday periods. VUB is registered with the Flemish government of Belgium. The VUB programmes are accredited by the Dutch-Flemish Accreditation Organisation (NVAO, Nederlands-Vlaamse Accreditatie Organisatie). This official organisation was established by an international treaty between the Flemish and the Dutch governments to ensure the quality of higher education in both the Netherlands and Flanders.